Sports Dental Emergencies? Dakota Dental is here to help. The spring sports season brings a busy schedule of practices, games, and travel for parents, students, and athletes of all ages. Unfortunately, spring sports may also bring unexpected visits to Dakota Dental Apple Valley dentistry for dental emergencies. Whether participating in spring sports such as golf, lacrosse, tennis, track, volleyball, baseball, or softball, the risk of some sort of injury is likely. If that injury relates to the mouth, gums, and teeth, Dakota Dental is ready to help. If a dental emergency occurs, call Dakota Dental Apple Valley dentists right away at 952-431-5774. The family dentists will work to see the patient as soon as possible and will strive to obtain the best outcome possible. From fixing the dental emergency damage to preventing further injury or infection, Dakota Dental is fully prepared. Dakota Dental offers a full menu of comprehensive dental services, from general dental work to cosmetic dentistry to restorative dental work. 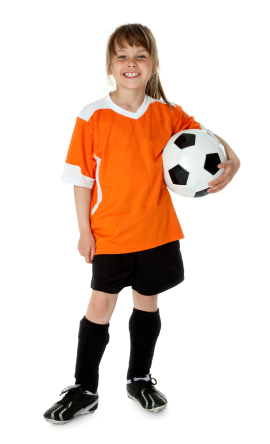 Additionally, Apple Valley dentists Shelley Wakefield and Bennett Isabella are available by appointment to discuss preventative care for athletes and to provide custom-fitted mouth guards. Take steps now to minimize the chances of dental emergencies. Make sure to schedule a routine check up and cleaning at Dakota Dental. Then, when playing spring sports and during active times, wear full protective gear, including mouth and teeth protection. Also, program Dakota Dental’s telephone number into your cell phone—just in case. Then, if a dental emergency does occur, you will be ready and Dakota Dental will be standing by. Dakota Dental is located at 14682 Pennock Avenue in Apple Valley, Minnesota (MN). Doctors Wakefield and Isabella provide general dental services, oral surgery, dentistry for kids, and emergency dental care. Call 952-431-5774 to schedule an appointment for preventative dental care, restorative dental work, or for emergency dental work.